After experiences like that one, it was time to act. Time to get a sleeping bag that actually does what it says it does - keep you warm in temperatures up to -9 degrees Celsius. That is where the Marmot Plasma 15 Sleeping Bag comes into the story. After researching around, and reading that Backpacker Magazine voted this one of the best, we purchased the Marmot. 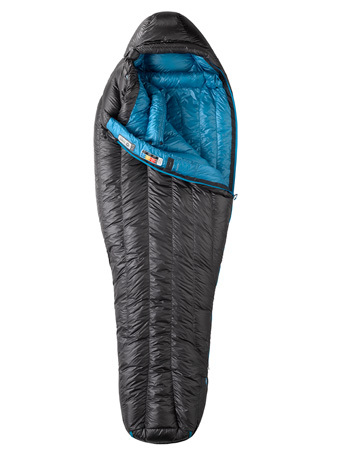 Outdoors GearLab refer to the Marmot Plasma 15 as the "Ferrari of Sleeping Bags" Would it be able to keep me warm? Firstly, what is it made of? Certified 900+ Fill Power Goose Down. That means not only is this high quality filling, but extremely lightweight (906g). It's a mummy shape, with a vertical baffle system which means its meant to transfer heat from the core of your body, down to your toes. I have to assume it does that. I stay warm but is it because of the vertical baffle system? I can't say for sure. A good insulated collar and hood (with drawstrings) helps keep the warmth in the bag. It is available in 2 sizes - regular and long. We own the regular size. A full length zipper and our bag came in the colors pictured in above photo. There is a very comfortable and luxurious feeling when you are in this bag. It does feel extremely snuggly and the design of the hood, means that the drawstrings are covered in a tube of down buffers, so you don't have anything uncomfortable around your neck. The Plasma is designed to fit you - whatever shape you are, whatever gender you are. Other sleeping bags frequently cater for the difference in gender. A typical woman's sleeping bag might be adapted to fit wider hips, narrow shoulders. But the Marmot Plasma 15 doesn't differentiate between male and female, so that might be seen as a negative. From a comfort perspective, this means that there is a lot more space around your body and if you are slender, the outcome is that there is more space needing body warmth to heat up the bag. Very lightweight is an added bonus of this sleeping bag, easy to add to your backpack if needed. We use this sleeping bag on car camping trips where weight is not an issue. But should I go on a hike, this is still the sleeping bag I would take. This is the key reason I bought this bag - because its been tested to work at 15F/-9C, and though I don't sleep in minus degrees very often, winter in the Flinders Ranges of South Australia can get below zero frequently. I do still take a while to warm up in it - it is a bit long for me, so there is a lot of drafty space at the bottom to warm, plus plenty of room in the upper region as well. I have added clothes at the bottom of the sleeping bag to minimise such drafty areas requiring warmth. I still need to fill a Nalgene bottle with hot water before climbing in. But that would happen with whatever sleeping bag I use. Other people would not be needing the extra padding or hot water bottle! As I said, I am a cold sleeper and need extra warmth at home too! But once I am warmed up, the Marmot Plasma 15 continues to keep me warm all night long. In fact, I frequently have to open the zips to cool down during the night. Whilst its a very comfortable padded sleeping bag, a good sleeping mat remains imperative. 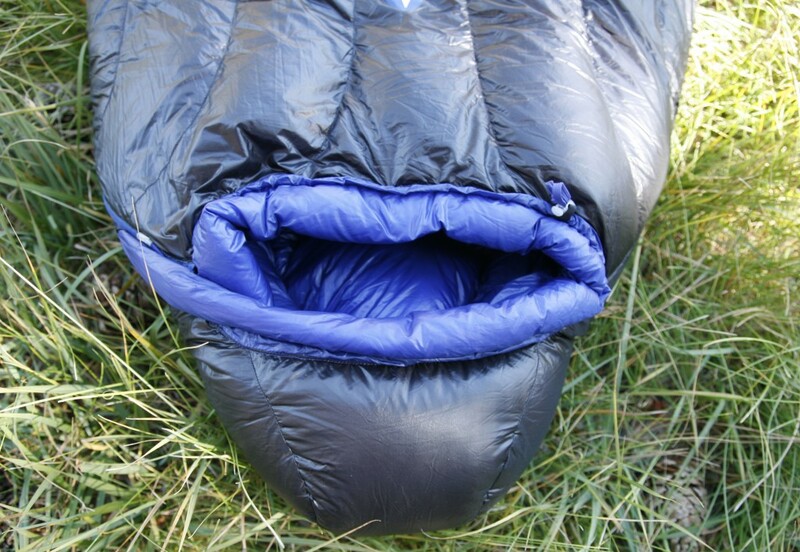 Down offers very little insulation when compressed, so you need to ensure no cold air is coming through beneath you (and that is why some manufacturers are choosing to do away with the bottom of the bag all together, and why top quilts are gaining in popularity). I really like this sleeping bag and the only true negative I find is the zipper which catches on the liner of the bag when zipping up. Not a huge issue, but in the dark, you may struggle a little to fully zip up the bag easily without a few snags. When you are not using this bag on a trip, you store the sleeping bag in the provided mesh bag to keep the down fluffed up and not compressed. A mesh bag means chance of the bag getting dirtier when stored, but I haven't had any issues with that at this time. Hope you are sitting down when you read about the price. Here in Australia, it costs a packet. It retails for around $900. BUT, and this is why you have to shop around, you can pick it up from overseas for between $350-500 plus shipping (and its lightweight, so it doesn't cost a huge amount). So this is one case, where it really does benefit you to research sellers of this sleeping bag, and find a good price. I can't stress that enough!!! I also recommend using a sleeping bag liner to minimise the need to wash this sleeping bag too often. So factor in that cost too if you don't own a liner. Like all down filled products, extreme care is needed when cleaning. We suggest looking at ﻿﻿﻿﻿​Cotswold Outdoors for Marmot products such as this. It's a great bag from a quality manufacturer. Marmot products are of a high quality so I knew this would be a good purchase, and this bag delivers on warmth (and good looks!!). Recommended if you want a bag that will last you for a long time and deliver on comfort and warmth plus is lightweight. You can definitely get cheaper lightweight bags than this one. Like anything, just do your homework and find out what is best for you. Need more information on another quality sleeping bag? Then read up on the Western Mountaineering Alpinlite Review by Go Camping Australia.